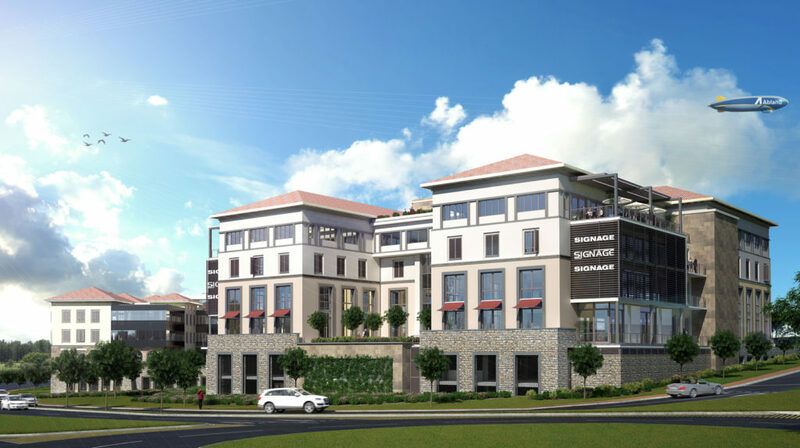 Monte Circle is an exciting commercial office park development situated in Fourways, Johannesburg. 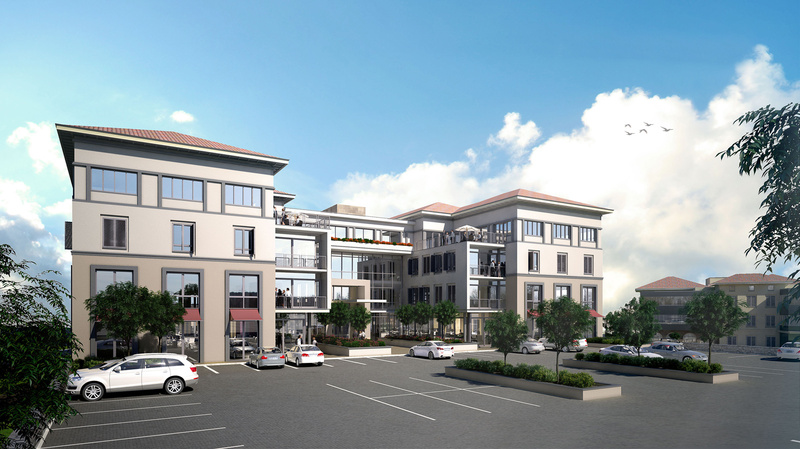 The project forms part of the larger Montecasino precinct, and will extend along Montecasino Boulevard between William Nicol and Witkoppen Road. Building C is the third of 8 planned office buildings which will create an internal ‘high street’ feel accessed along a central spine road. 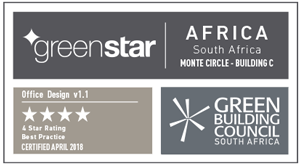 The architecture is a reinterpretation of the classical architecture of Montecasino, this reinterpretation introduces several contemporary design elements thereby creating a unique character which forms a dialogue with Montecasino across the road. The architecture also contributes to the precinct’s sense of place. Practical completion Building C is May 2018. External shading is provided to the Eastern, Western and Northern facades, using adjustable sliding shutters to window openings. This leads to improved thermal comfort while still allowing for good levels of daylight and external views. The lighting power density for 95% of the UA is less than 1.5W/m2 per100 Lux at 720 mm AFL with a default maintenance factor of 0.8. Motion sensors for lighting is also in place which has lead to an efficient lighting installation. Water closets, urinals and faucet fixtures all reduce water consumption. WC’s and urinals are all fitted with actuators to reduce and control water consumption. Energy and water sub metering have been employed. This will enable the building to be effectively managed and the outcomes of the implemented sustainable initiatives realised.